Things to Keep in Mind If You Are New to Auctions | Wilson Auction & Realty Co, Ltd.
Auctions are a great venue to shop for deals on anything from collectibles to real estate. In addition to providing an opportunity to buy and sell just about anything, auctions are also entertaining and educational. These are a few things to keep in mind if you are new to auctions. Auctions are events where sellers bring items that they wish to sell, and buyers bid against one another in an effort to purchase the items. An auctioneer conducts the auction, and is responsible for announcing the items to be sold, suggesting a starting bid, and managing the bidding process. 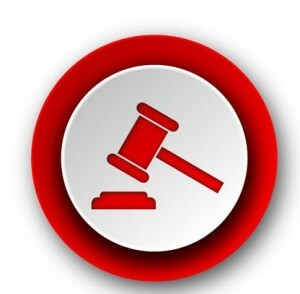 At most auctions, buyers need to register for a bidder number that will be used to place bids. It is always a good idea to arrive early for an auction. Arriving early allows you to find a parking spot, obtain your bidder number, and preview the items that will be sold during the auction. Late arrivals may be unable to preview items before bidding, and may also need to sit or stand at the back of the crowd. The terms will vary between auctions, so it is a good idea to review these terms before the auction starts. Examples of things that will be specified in the auction terms include a buyer’s premium, payment options that are accepted, and when purchased items need to be removed from the auction site. It is also important to be prepared for auctions with knowledge about items you wish to buy, including their value. Once the bidding starts, it is too late to double check any details about the item that is being offered for sale. Another thing to be aware of when attending auctions is the terminology. Terms like buyer’s premium, reserved or unreserved, and choice out may all be encountered during an auction. You can always ask the auction staff what terms mean if you are uncertain. Most auction staff members are very helpful and want everyone to have a good experience. Wilson Auction & Realty Co. is one of the largest auction firms in the country. We serve clients in ten states, and operate auctions throughout the year. Contact us at 866-870-5500 to learn more about our services or upcoming auctions.